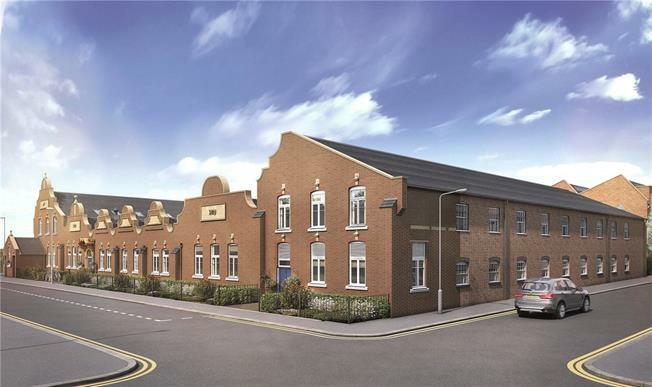 2 Bedroom Flat For Sale in St. Albans, Hertfordshire for Asking Price £420,000. One of the impressive homes released from Taylor Wimpey's refurbished apartments, this home offers an open-plan Kitchen/Living/Dining area, and spacious Bedrooms. A family Bathroom and Ensuite complete the home, whilst one allocated parking space is provided within our gated car park. - Luxury modern Kitchen with Stone worktops, Zanussi appliances to include single oven, fridge/freezer, washer/dryer and dishwasher. Stainless steel splashback. 4 ring halogen hob. Chrome Kitchen tap, 1 ½ bowl with drainer, USB charging point, Under cabinet LED strip lighting, Chrome low-energy downlighters.